The Yas Marina Circuit in Abu Dhabi plays host to the 2018 season finale. Sadly, there is no championship showdown as Lewis Hamilton wrapped up the title long ago. However, this means that next Sunday’s race will be no holds barred. For Fernando Alonso, Stoffel Vandoorne and Marcus Ericsson, it is their final race in F1. For Kimi Raikkonen, Daniel Ricciardo and a few others, it is the final race with their respective teams. Coming back to Abu Dhabi, a 2012 interview with former To Gear host Jeremy Clarkson revealed what Raikkonen truly thinks of the circuit. In his typical taciturn fashion, he said, “The first few turns are good, the rest is sh*t”. The Finn explained that the last part of the circuit was particularly twisty. Clarkson agreed, saying that it was ‘catastrophically boring’. 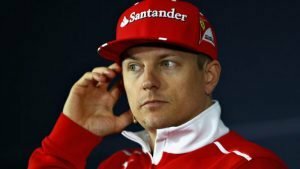 Raikkonen also said that there were many other circuits that were also boring. As mentioned before, Raikkonen will be contesting his final race in Ferrari colours. He finally won a race for them at the US Grand Prix. It was his first win since the 2013 Australian Grand Prix. 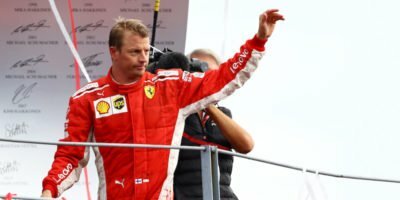 It is now clear to many that Raikkonen is no longer putting up with any team orders. Instead, he is merely racing for himself and Ferrari know that. So it was rather surprising for many when Ferrari ordered Sebastian Vettel to let Raikkonen pass. Now, in 2019, Raikkonen’s place will be taken by rising Ferrari star, Charles LeClerc. Meanwhile, the Finnish veteran will be moving back to his first ever F1 team, Sauber. The Swiss outfit gave him his first big break in Formula One. The 2007 world champion admitted that at Sauber, he will be focusing on what he does best, driving. “Why should I worry about going to Sauber?” he said. “My goal is to try to help them to succeed and to have fun. “When I came back to Formula One for Lotus, people said that I had made a mistake and could not do anything, but instead things went differently. It could happen again”.